Saturday, June 2nd is 100in1Day. 100in1day is a global festival that activates citizen-led initiatives in public spaces across a city. Originating in Bogota, Colombia, and spreading to cities across the globe, the citizen-led festival is a platform for residents to host one hundred or more thoughtful and playful “interventions” across the city to transform outdoor public space and spark positive change. Powered by Synapcity, 100in1Day is coming to Ottawa for the second time this year on June 2nd! Interventions are activities that take place in parks, on the streets, in schoolyards and other public spaces. 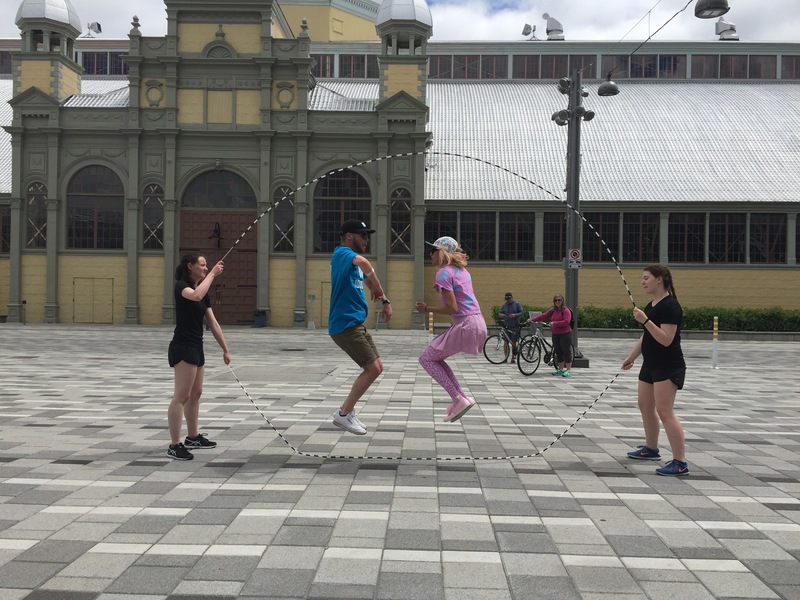 They are activities such as street art projects, free outdoor music performances, flash mob events, community bike rides, temporary art installations, pop-up parks, guerilla gardening projects, neighbourhood walking tours, and so much more. 100in1Day is a festival of possibility. By registering an intervention, you can share your passion for the city and contribute to Ottawa’s community-building initiatives. If you have an idea, would like more information or are ready to register your 100in1Day intervention, visit www.100in1day.ca or get in touch with the Project Lead at christine@synapcity.ca. Let’s make this year bigger, more diverse and more inspiring than ever. Posted by Denise Deby. Thanks to David Mazur-Goulet, OREC, for information. How can cities, with their significant environmental footprints, be sustainable? The Ottawa Renewable Energy Coop (OREC), Octopus Books and delegates of the EU-Canada Municipal Cooperation on Urban Policy are addressing that question in a discussion on cities and climate solutions. It’s on Wednesday, May 18, 2016, 7-9 p.m. at Octopus Books’ Centretown location (251 Bank St.), $5 or pay what you can. For more details and to register, see OREC’s or Octopus Books’ websites. This wonderful weekend to discover the city is happening on Saturday, May 7 and Sunday, May 8, 2016. 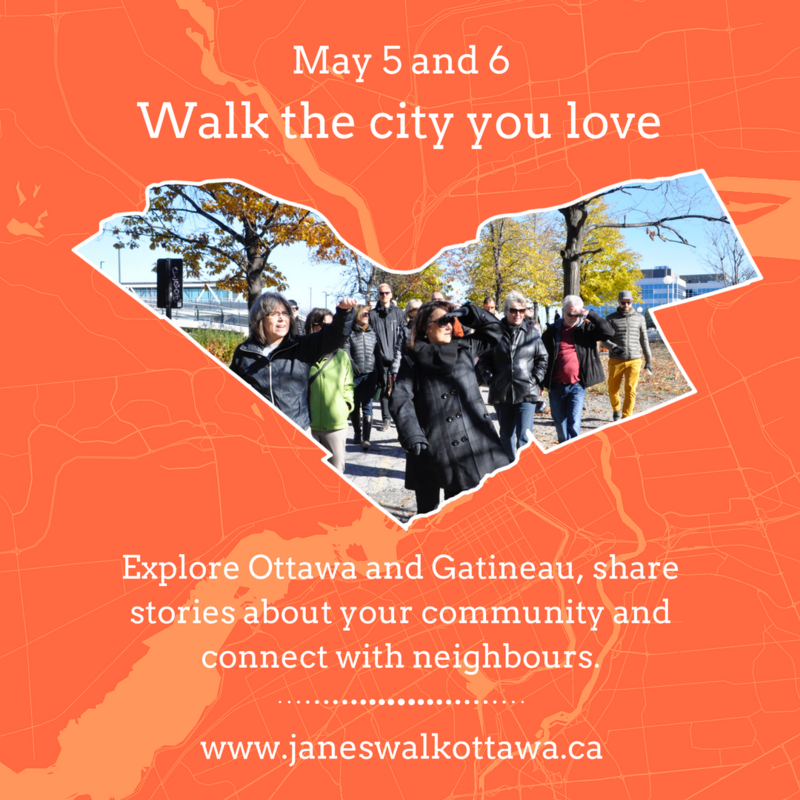 Jane’s Walk Ottawa-Gatineau is a weekend of walks that explore and create conversations around the history, culture, ecology, design, politics and communities of Ottawa. The walks this year include edible plants in the city, the potential of Stittsville Main Street, the turtles of Petrie Island, an Indigenous perspective on Lansdowne Park, the Poets’ Pathway in the Sawmill Creek wetlands, the history of the Deschenes Rapids, the parking lots of Parliament Hill, the Ottawa tool and seed libraries, conservation in the Pinhey Sand Dunes, l’art et la nature sur l’Île-de-Hull, and many more. All walks are led by knowledgeable and engaging volunteers. 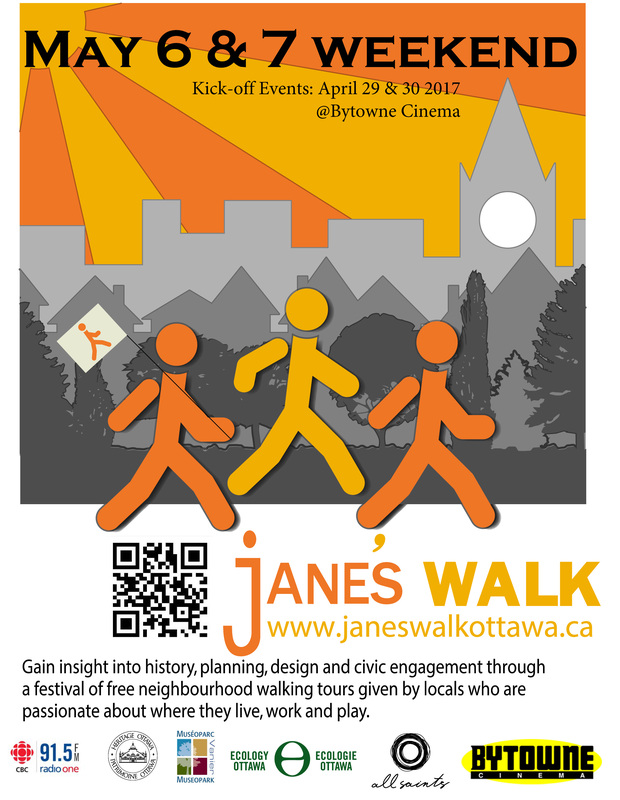 Check out the full program and more about Jane’s Walk at http://www.janeswalkottawa.ca/. Development and Peace, the Canadian Religious Conference, Equiterre and Citizens for Public Justice are holding a talk on Paris Climate Conference: And After? along with the film This Changes Everything. It’s at Saint Paul University (223 Main St.) on Tuesday, Apr. 5, 2016. Catch This Changes Everything again on Wednesday, Apr. 20, 2016 at Carleton University with a screening hosted by Carleton Climate Commons Working Group, 350 Ottawa, Ottawa Renewable Energy Co-op and Carleton Cinema Politica. Also on Wednesday, April 20, 2016, Impact Hub Ottawa hosts What’s next after Paris? Community action for a post-carbon future. Panelists Mitchell Beer (Smarter Shift/The Energy Mix), Mike De Souza (National Observer), Andrea Flowers (City of Ottawa), Graeme Cunningham (Bullfrog Power), Janice Ashworth (Ottawa Renewable Energy Co-op) and EnviroCentre’s Carbon 613 will talk about getting involved in creating a sustainable world. Ottawa hosts a National Symposium on Climate Change Adaptation for industry, governments and organizations Apr. 12-14, 2016. Local conservation biologist and author Robert Alvo launches Being a Bird in North America at Octopus Books (Glebe) on Saturday, Apr. 9, 2016. It’s a book that uses humour and science to provide a new perspective on birds. 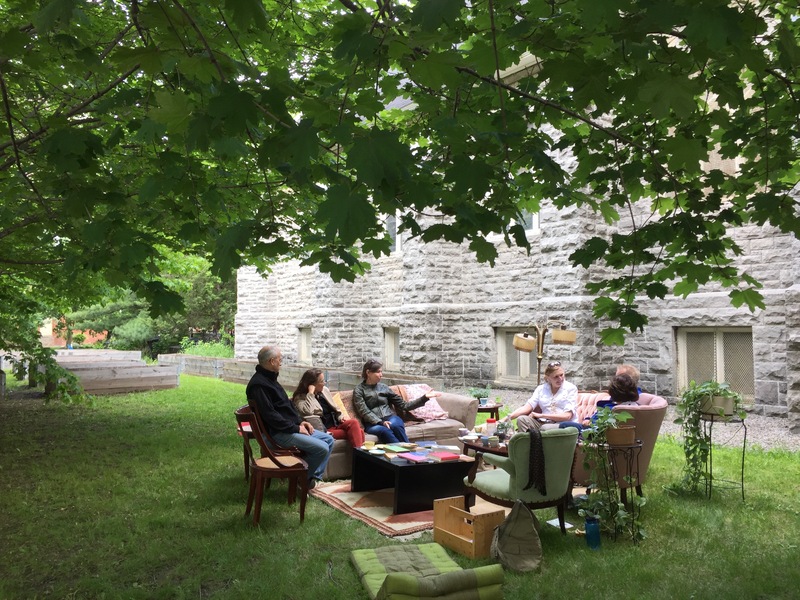 The City of Ottawa is hosting Engaging Citizens in Science to showcase groups that are involving people in understanding and documenting nature. As well as speakers Dr. Jeremy Kerr (University of Ottawa, co-founder of Bumblebeewatch.org) and Andy Kenney (University of Toronto, Neighbourwoods Program), several groups will present their citizen science and research initiatives. It’s on Tuesday, Apr. 12, 2016. The film Love Thy Nature, coming to the Mayfair Theatre Apr. 10, 11 and 13, 2016, explores humanity’s connection with the natural world. The Ottawa Field-Naturalists’ Club has several upcoming birding and other events. Check details on their website. Janette Sadik-Khan led New York City’s program to create safer, more liveable streets, and wrote about the experience in Streetfight: Handbook for an Urban Revolution. She’ll be speaking in Ottawa on Wednesday, Apr. 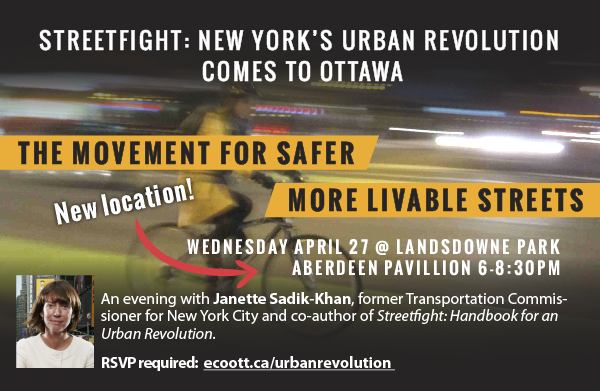 27, 2016 at Streetfight: NY’s Urban Revolution Comes to Ottawa, a discussion organized by Ecology Ottawa and other groups. 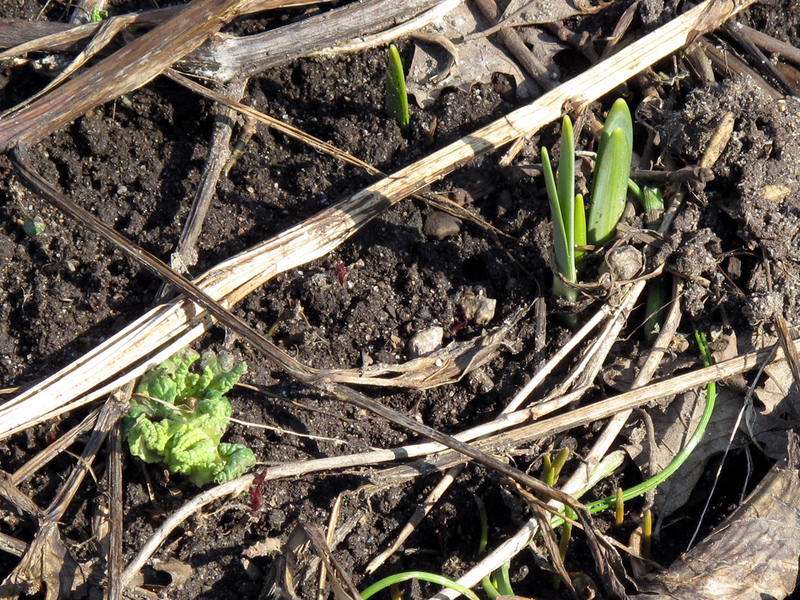 Of course, April 22 is Earth Day. 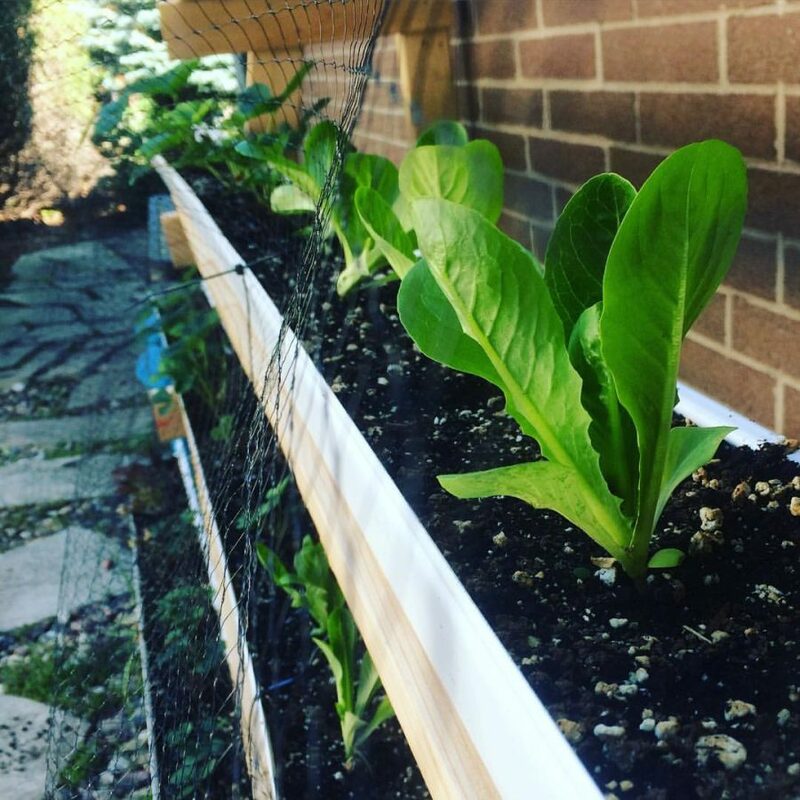 Check for events at https://earthday.ca/. 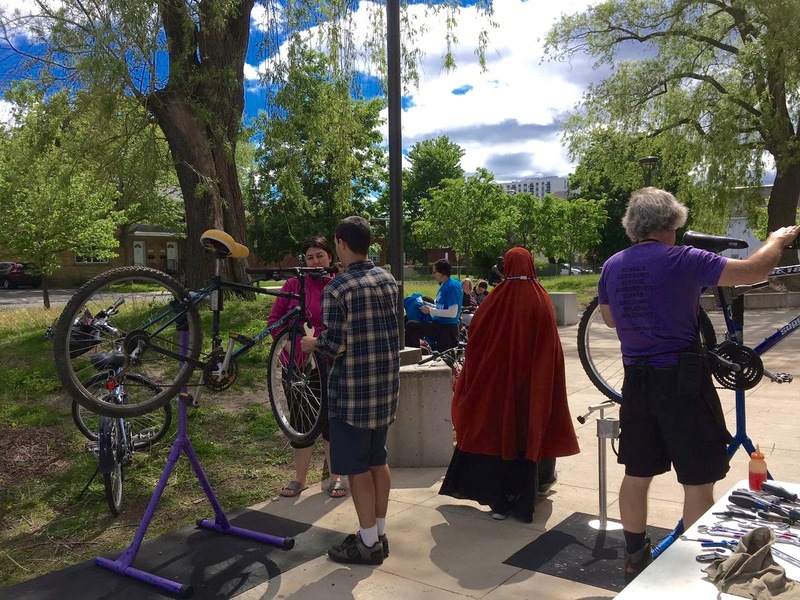 To stay up to date with local environmental events, check out the great event calendars at Green Ottawa, Ecology Ottawa and Transition Ottawa.